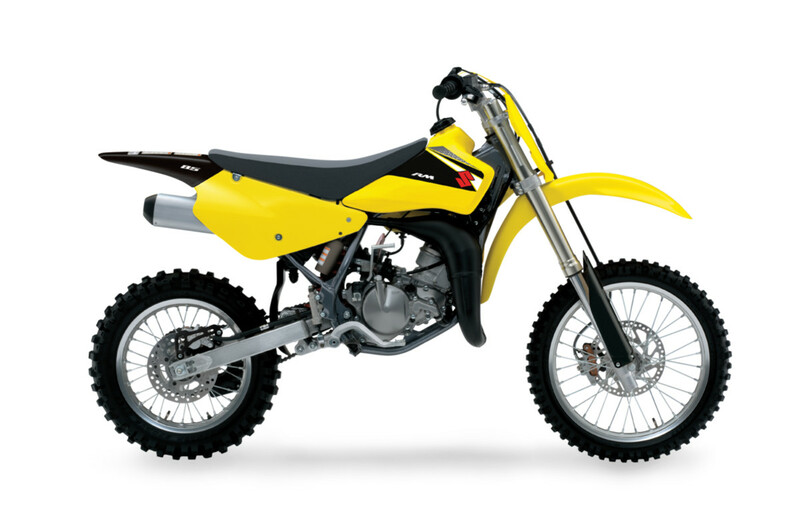 Free race kit - Pro Circuit Ex, Sticker Kit, Renthal Bars^^The RM85L is the bike that meets every first-time motocross racers demand, with even bigger wheels for better handling and comfort. The high revving 85cc reed valve engine features alloy exhaust valves for more stable combustion, in combination with the Keihin PE28 carburettor.^^At ground level, inverted Showa cartridge forks use a progressive valve system with damping tuned to match the strong rear shock. The braking system boasts large discs and a twin-piston caliper up front.^^Offer ends 30/04/19^^*Ride away price includes all offers, cashback, rebates and discounts.